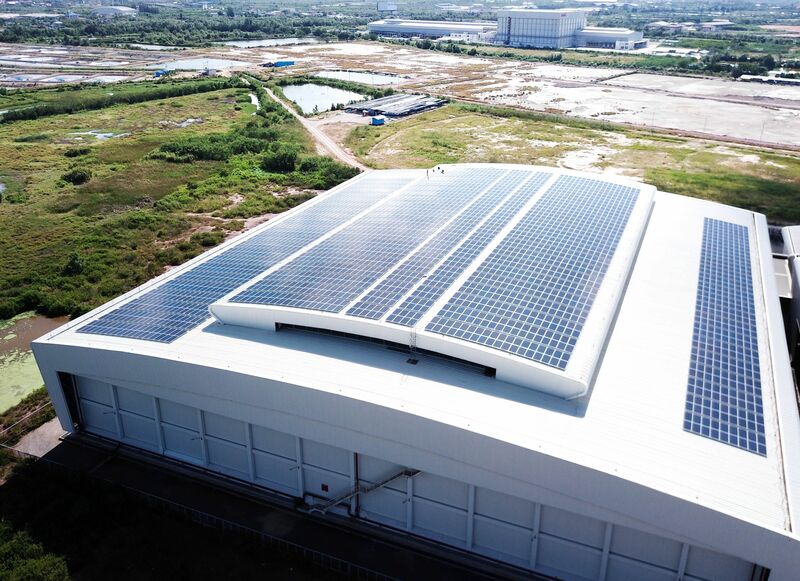 Impact Solar will install over 27 MW of solar rooftop systems under their Private PPA scheme for Big C Supercenter branches across Thailand; becoming the first of its kind for retail businesses and the largest installation capacity in Thailand to date. The purpose of the installation is to benefit from savings on electricity costs within the organization. 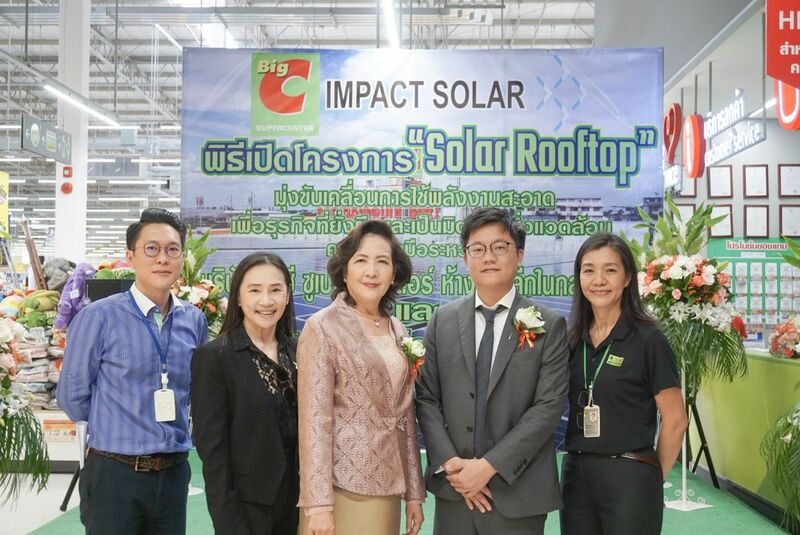 Impact Solar has been selected by Big C Supercenter Public Company Limited to install solar rooftop systems on Big C branches across Thailand with a combined installation capacity of 27 MW. The project has been divided into 2 phases with Impact Solar successfully winning the price bidding for both phases. While phase 1 have commenced development since the beginning of 2017 for a total installation capacity of 16 MW on 16 Big C Supercenter branches and their distribution center; phase 2 began development in late 2017 to install a total of 11 MW on 11 other Big C Supercenter branches, totaling 27 MW at 27 branches located all over the country. Combining both installation phases, a total 40 million units of electricity is estimated to be generated with 23,000 tons per year of CO2 avoided. The first project installations will begin at Big C Supercenter Om Yhai branch in Nakhon Pathom province and Big C distribution center in Lat Krabang, Chachoengsao province, while the project is expected to be completed in 2018.